Mimi McAndrew believes rooms should be beautiful, optimistic, captivating, and inviting. Excellent construction, cozy textures, and a curious mix of colors and prints, serve as her foundation to attain this livable, glamorous comfort. Much of this aesthetic is inspired by Mimi’s background in high end fashion and design. She has held positions at Paris Vogue, Kate Spade, Kirna Zabete, Ian Schrager, and Meg Braff. 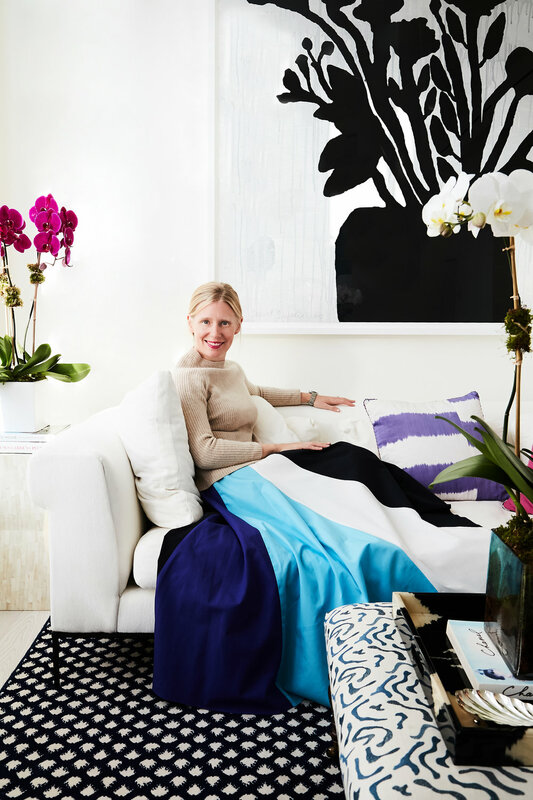 Mimi Stovell McAndrew graduated from Harvard and has an AAS in Interior Design from Parsons. Founded in 2012, MIMI MCANDREW LLC is a petite, high-touch, full service interior design firm based in the Flatiron area of New York City. Past and present projects include full scale gut renovations, interior decoration, and estate sale preparation in Manhattan, Westchester, Long Island, San Francisco, and Los Angeles.